While everyone is looking forward to the Nintendo 3DS XL, Nintendo decided to out the current model with some new colors for the Asian bound hand helds. 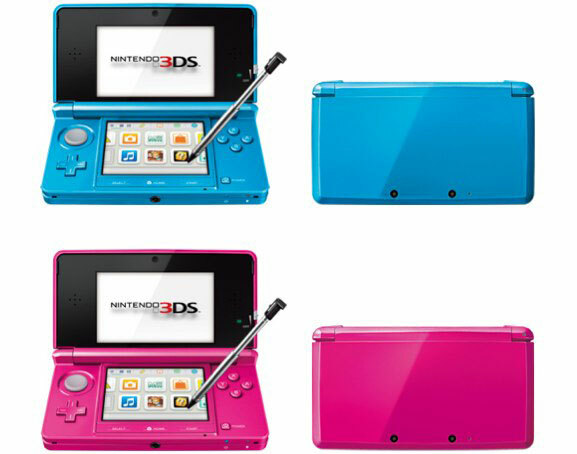 The 3DS in Cerulean (the bright blue one) and Shimmer (the hot pink version) will hit stores in Hong Kong and Taiwan, accompanying the launch of the 3DS XL in September. No word from Nintendo so far on whether it'll follow the Aubergine-hued model to the US.